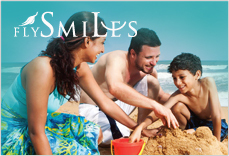 Since time immemorial, lighting of lamps has been integral to the lives of Sri Lankans. From the humble clay lamp to ornate brass oil lamps adorned with intricate carvings, the oil lamp is interwoven with the fabric of island life. Known as Pahana in Sinhalese and Vilakku in Tamil, the flickering flame is not only a source of light but also a source of life. After the discovery of fire, the flickering light has been carried by man in vessels of different shapes and sizes. The oil lamp in Sri Lanka, which is tightly woven into the island's culture, traces its roots back to the proto-historic period. It is believed that humans invented the oil lamp during the Old Stone Age, when society discovered that the wick, soaked in and fed by oil, provided a lasting light. In Sri Lanka, our forbearers crafted an oil lamp in its simplest form using a hollowed out stone in the prehistoric era.The use of single wick clay oil lamps or mati pahana was believed to be commonplace in the ancient world, and in Sri Lanka it has survived till present day. According to the historical annals of Sri Lanka, oil lamps were vital to life during the Anuradhapura Era, the first kingdom of Sri Lanka. These lamps are presumed to have been made of clay, and thus have not withstood the test of time. Archaeological discoveries from other kingdoms reflect the heights reached by the Sri Lankan artisans who crafted oil lamps. 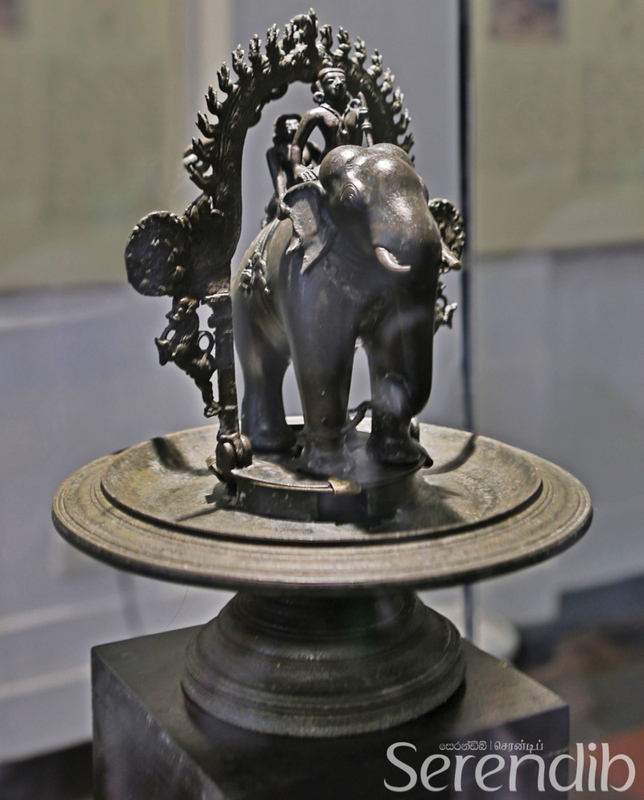 The ‘Elephant Lamp' or Ath Pahana found in a relic chamber at the Dedigama Kota Vehera in 1951 is an oil lamp sculpted during the reign of King Parakramabahu in the Polonnaruwa Era (12th century AD). 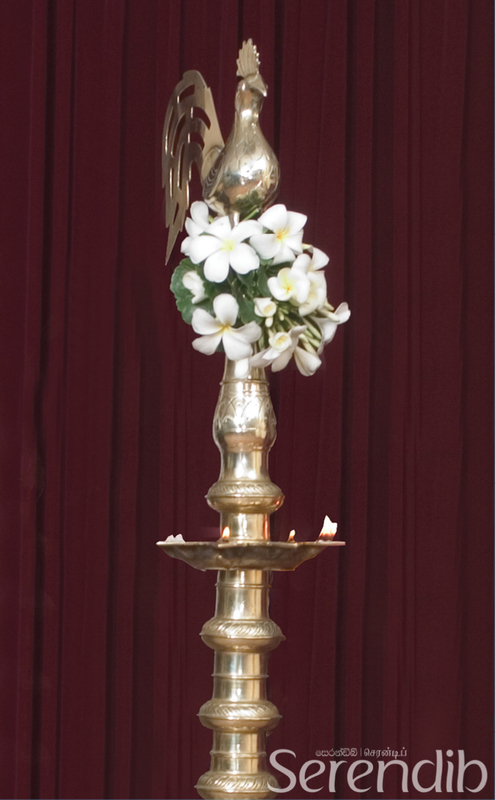 The iconic lamp is an excellent example of the position of importance held by oil lamps in Sri Lankan culture. The Ath Pahana is designed in the shape of a majestic elephant with two riders and has a hydraulically controlled oil container. It is a beautiful expression of Sri Lankan artistry. The flickering brightness that emanates from an oil lamp symbolises wisdom, hope and new beginnings. 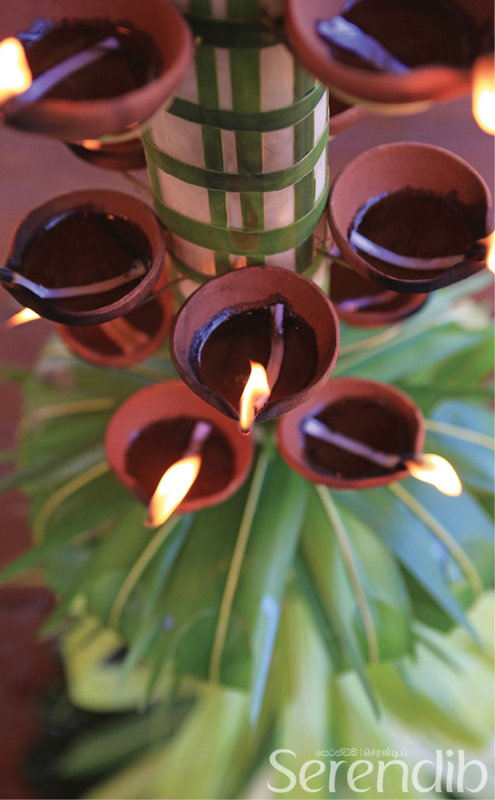 Thus, the traditional oil lamp that dispels the surrounding gloom is an integral element of Sri Lankan culture. 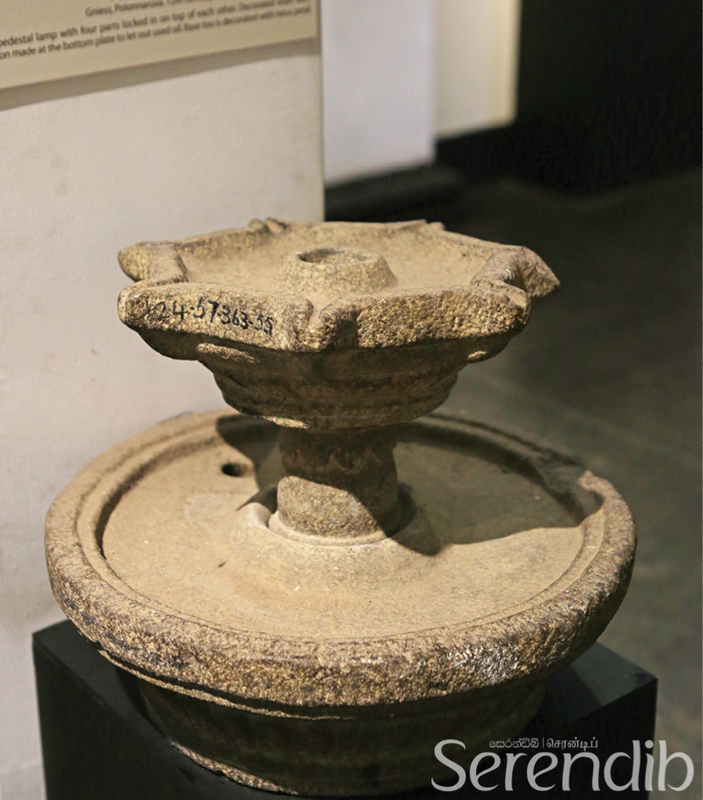 The oil lamp continued to become an integral element of art and religion of Sri Lankan society during the Polonnaruwa Era, and various artistic elements were added to adorn the simple structure of the oil lamp. Oil lamps were often made with bronze stands of varying heights, some of them being raised or lowered at will. The brass lamps were in two major forms; standing and hanging. The features of the earthen lamp was also enhanced by elaborate carvings of human figurines, flowers and birds such as roosters. 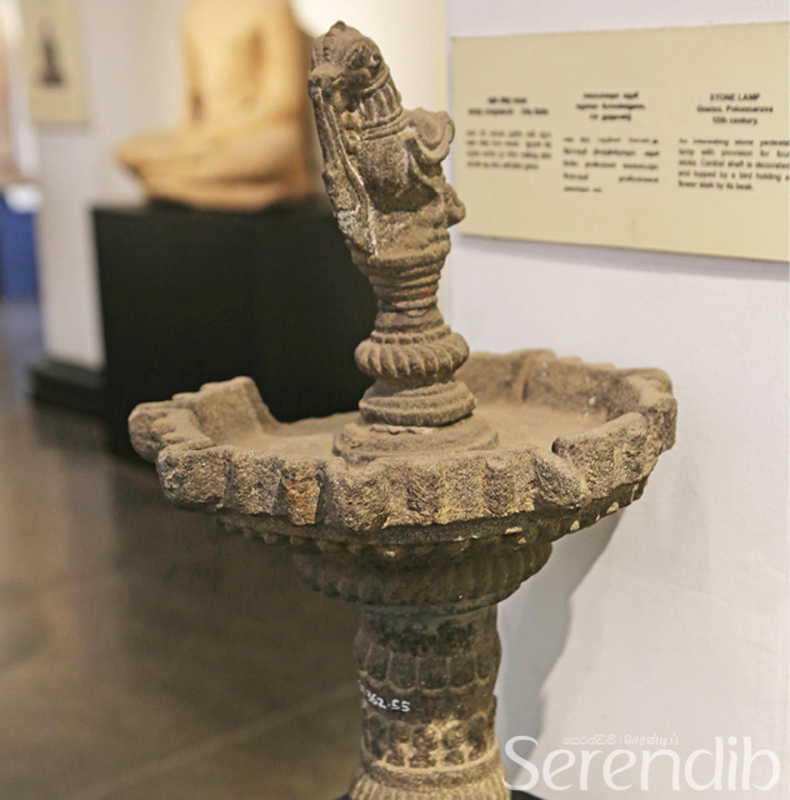 Another variety of ancient oil lamps of Hindu origin features an open back that enshrine the figure of a deity. 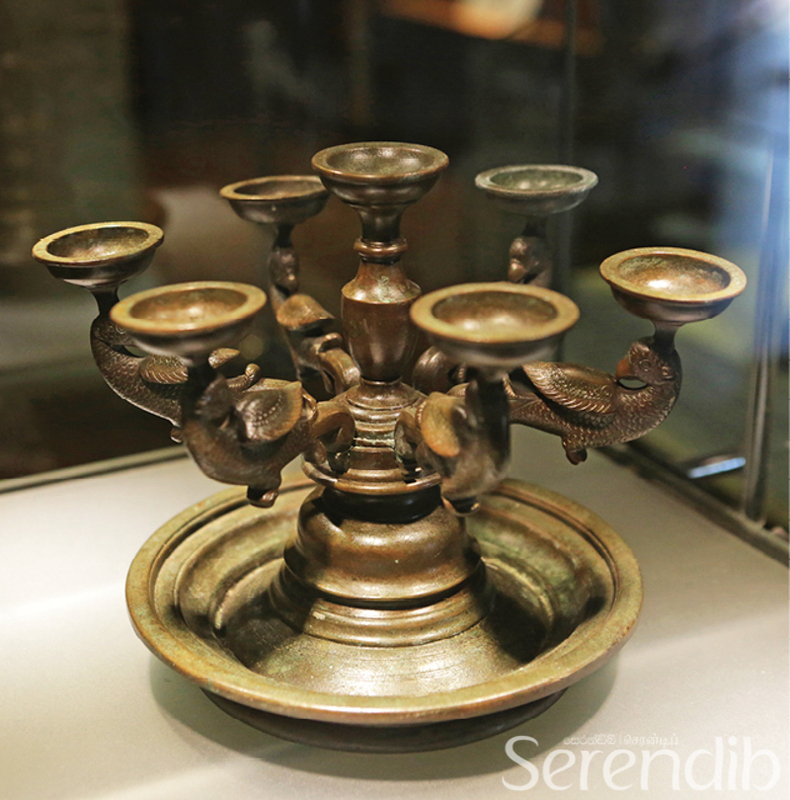 During the Kandyan Kingdom, exquisite oil lamps were crafted to illuminate households and the shrines dedicated to the divinity. These 18th and 19th century detailed brass lamps showcased the dexterity of craftsmen. Lamps with multiple wicks, each held out by delicately crafted birds are of great artistic value. The various hanging and pedestal brass oil lamps that were used for religious and festive customs continue to be of importance at cultural events in Sri Lanka today. The standing brass lamps usually featured five wicks in spoke-like form in a star-shaped tray atop a central staff with a bigger circular drip tray at the base. The lamp design of composite figures of bird-man with spread out wings is an unconventional creation of this period, and is believed to have Javanese inspiration. Some lamps of the Kandyan Era even resemble flowering plants and trees bearing fruits. The flickering brightness that emanates from an oil lamp symbolises wisdom, hope and new beginnings. Thus, the traditional oil lamp that dispels the surrounding gloom is an integral element of Sri Lankan culture. Even today, the oil lamp is inextricably linked to the key moments of our lives; both happy occasions and otherwise. Honouring age-old traditions, new beginnings are marked today by lighting the symbolic rooster-shaped brass lamp. 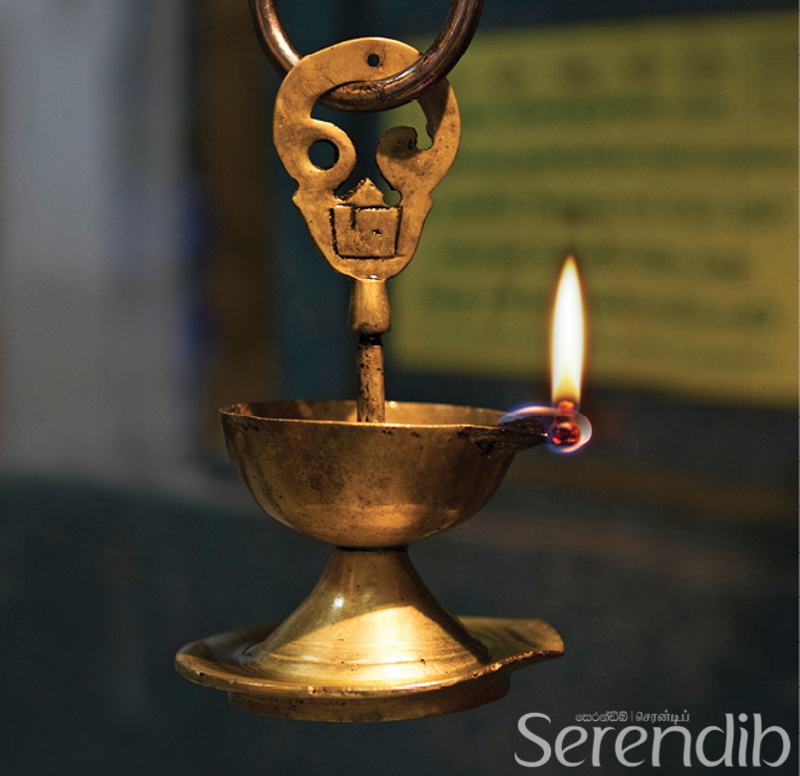 The oil lamp is lit to represent prosperity at the dawn of the Sinhala and Tamil New Year. Devotees light clay oil lamps to pay homage to the Buddha. Aloka Pooja are performed with rows of oil lamps lit around the hallowed grounds as an offering of reverence to the Buddha. Deepavali, the festival of lights celebrated by Hindus, signifies the lighting of oil lamps to eliminate physical and spiritual darkness. In Catholic churches, a Sanctuary Lamp enclosed in a red glass container is kept lit day and night in front of the altar, signifying the living Christ. During the Buddhist marriage ceremony or Poruwa Ceremony, once the newlyweds descend the poruwa they light a brass oil lamp decorated with flowers, signifying hope and blessing for a favourable future. In Hindu marriage rituals, upon the arrival of the groom at the bride's family house, the ritual of Aarthi is performed to ward off the evil eye. 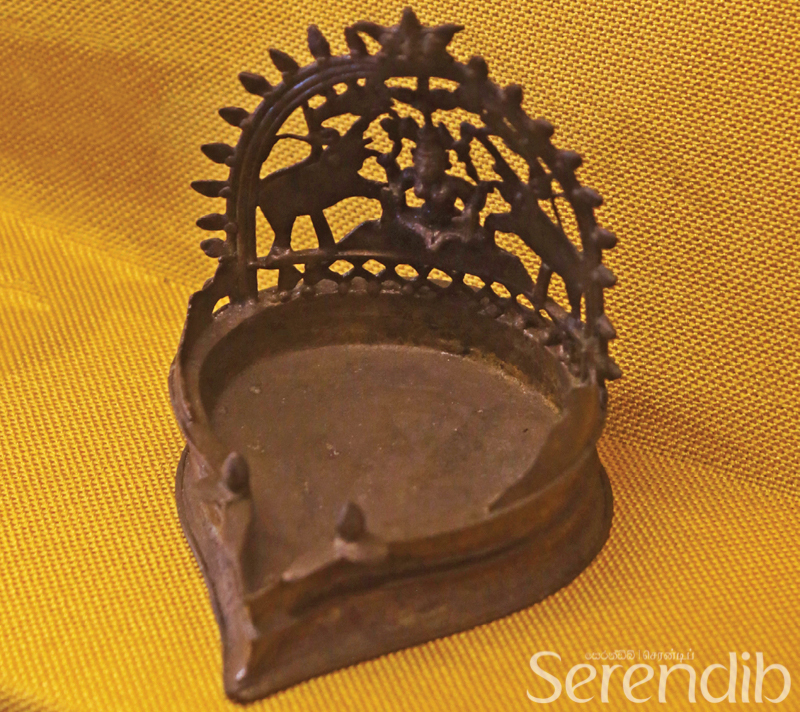 One of the key elements of the Aarthi plate is a decorated oil lamp. While the groom ties the Thali around the bride's neck, it is customary for the groom's sister to hold the oil lamp. The oil lamp has flickered through the ages, weaving its glow into the heart and soul of Sri Lankan culture and life. A source of physical and spiritual light, the tradition of lighting an oil lamp for belief, hope and prosperity in the island will continue for generations to come. Information and photography support was provided by Sanuja Kasthuriarachchi, Director General, National Museum and National Museum Library, Sir Marcus Fernando Mawatha, Colombo 7.